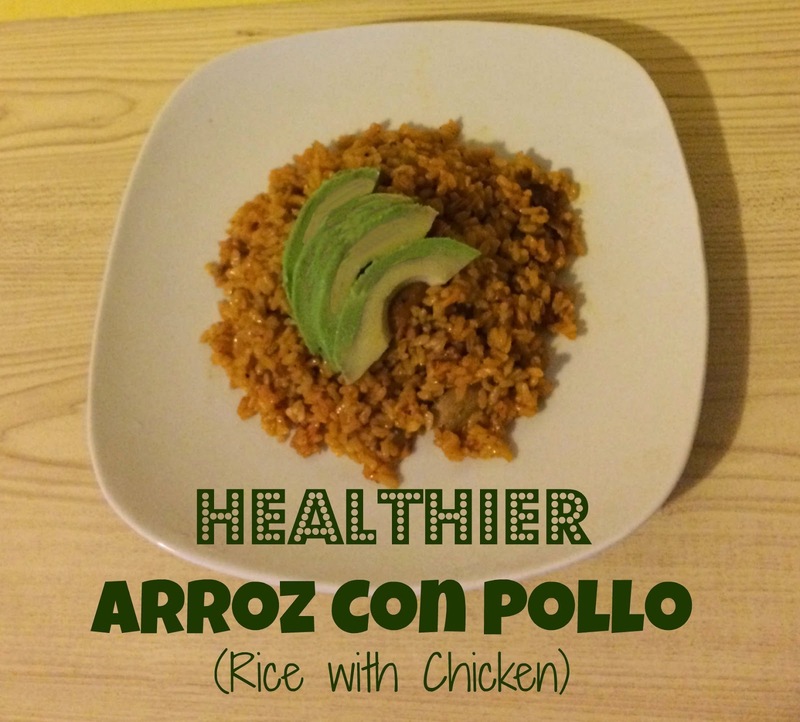 One of the easiest things to make with the ingredients I always have on hand is Arroz Con Pollo (Rice with Chicken). I decided to take my family recipe and make it a bit healthier by using brown rice instead of white, boneless skinless chicken thighs instead of skin-on chicken pieces and less oil. 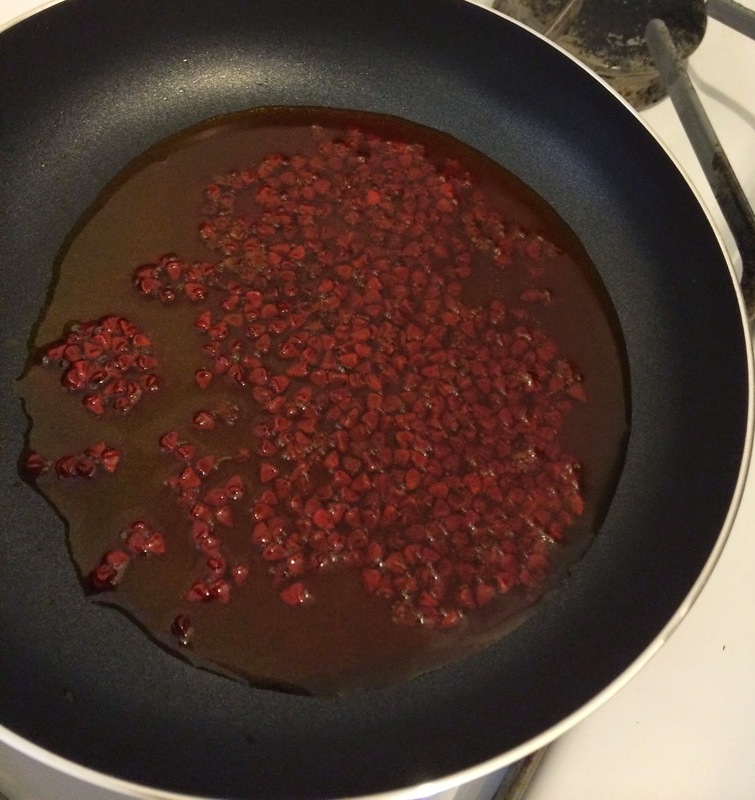 In a small pan add oil and achiote seeds. Fry until the seeds begin to sizzle. Strain out the seeds and add oil to an electric pressure cooker. Turn on the brown setting. Season chicken thighs with salt and pepper and add to hot pressure cooker. Brown each side of chicken thigh and take out and set aside. Add sofrito and salt to pressure cooker and cook stirring around for a couple of minutes. Clean and drain rice and add to pressure cooker with sofrito. Mix around and cook rice for about a minute. 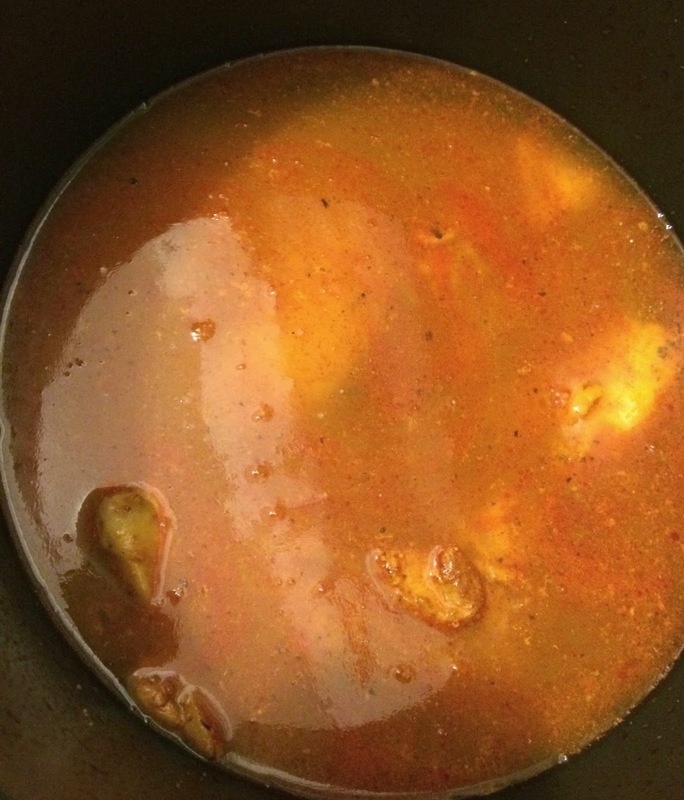 Nestle chicken thighs on top of rice and add any juices that have accumulated. Add the water and cover and seal the pressure cooker. Cook on high pressure for 22 minutes. After the cook time let the steam naturally escape for 20 minutes. That sounds SO good. We love rice dishes like this in our house. I have never heard of Annatto Seeds - what are they like? Anything else similar to them? LOVE Arroz Con Pollo, my stepfather is Cuban and this is a dish I have had many times. What a great way to make it healthy! Okay sister this just sounds amazing!!! I will definitely be trying this out!! That not only looks delicious, it sounds delicious too. Thanks for the recipe. I love arroz con pollo. Wish I had a pressure cooker to be able to make this just as you did. I'll have to modify it to my available tools. This looks delicious! We love dishes like this! This food made me hungry. I eat rice and chicken is my favorite meat. This is a great recipe to try.. Might try it someday. I need a pressure cooker because this sounds amazing. We go through a lot of brown rice and sometimes I mix wild rice & brown rice together.